Nearly 20 percent of web traffic comes through mobile devices. As smart phones become even more ubiquitous, that number will only increase. As a result, companies are compelled to create mobile-friendly versions of their websites. The debate that’s arisen from this growth is whether an organization should use responsive web design – creating a site that works similarly on a PC and a mobile device – or opt to create a dedicated mobile site. A responsive website is exactly how it sounds: It shifts and scales based on the vehicle the user is employing to see it. Large desktop monitor or small phone – the design is fluid and, well, responsive. A mobile site is built within a mobile framework. It’s a custom development designed to be experienced specifically on a smartphone. So how do you choose the right option for your company’s mobile presence? The number one reason to opt for responsive web design is overall simplicity. Regardless of where the customer decides to look at your site, they’ll be able to see it as it was intended. On the developer side, responsive sites, though more complex to create up front, are also easier to maintain down the road because the code doesn’t need to be modified to fit various formats. Responsive design is also the preferred choice of Google, so that’s a big plus, too. For a content-heavy site, responsive design may be the best solution. You create your content once and can publish it everywhere. You also spend less time on mobile-specific development because the site is built to accommodate large and small screens, and you have more time for content development. We recently developed a micro-site for KSM Consulting (www.ksmconsulting.com/careers) and wanted the same basic content to be visible on all devices. But we also wanted a positive user experience, where the content was easy to read, regardless of whether you viewed it from a desktop or a mobile phone. Responsive was the perfect approach. Consider your average customer. Do they expect a custom experience when accessing your site via mobile? If so, a dedicated mobile site may be the better option. One example of this would be if the primary function of the site, or portions of the site, is meant to act as an application or connect with separate applications. On Amazon, for example, the primary action is for a user to purchase items while housing secure customer data. A native app would be able to integrate directly with a user's personal mobile device, which is easier for the end user if they want to securely open the app and buy something. Another reason you might go with a dedicated mobile site, would be when special custom features or advertising are required. Responsive design sites typically don’t allow for the inclusion of advertising banners or other custom features. If graphic calls to action are a necessary aspect of your marketing plan, a dedicated mobile website is a wise choice. The biggest reason to go with a dedicated mobile site is the user experience. Are you content with providing visitors the same interactive result no matter how they navigate to your site, or should the mobile experience be different fundamentally because of your brand or a unique service offering? If the latter, the choice is clear. A final reason (and probably the most common) to go with a dedicated mobile site, might be that your business already has a well-designed website (non-responsive) and isn’t ready for a full site redesign. In that case, it may make more sense to develop a simple mobile site than trying to fit a responsive approach into a site that wasn’t designed that way. In some cases, this is a more economical approach, until your next major redesign. Still Not Sure Which Approach Is Best? Are you trying to determine the web design strategy that’s right for your business? Contact Marketpath today to learn more about our mobile design capabilities. 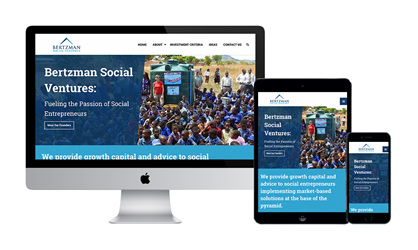 Click here to see some of our latest responsive web designs and mobile web development projects.